Last Thursday morning, a deranged individual wishing to cause harm to innocent people walked up to her job at a Rite Aid warehouse and began shooting people. Breaking news alerts filled the internet as #Aberdeen trended on Twitter and the internet buzzed with people trying to find out who would do such a thing. However, shortly after the shooter was identified, the news — unlike most mass shootings — quickly faded from headlines and fell out of the news cycle. Snochia Moseley, 26, was the deranged individual who began shooting innocent people at 9:09 am last Thursday. Four people died, including Moseley, according to Harford County Sheriff Jeffrey Gahler, after she turned the gun on herself. As is the case after nearly every single shooting in the country — besides this one — mainstream media and anti-gun activists alike, parrot themselves into a fury of gun control rhetoric. But that did not happen this time. Why is that? The Free Thought Project has narrowed down the possible answer to that question with five points we think are important. 1. The shooter was a woman. For starters, Moseley was a woman. According to the New York Post, Moseley described herself on social media as a quiet person with a “to myself type of personality.” She simply didn’t fit the profile of the typical “mass shooter,” and therefore was seemingly not a good subject to be used for pushing gun control. Because Moseley was a black transgender woman who was so outside of the typical description of a mass shooter — who are usually young white men — one would’ve thought that her case would’ve seen even more scrutiny and reporting in the media. But this was clearly not the case. In fact, because most every article TFTP found on the subject contained the above description of Moseley not being a “monster,” it is almost as if the media defended her as not to cross the politically correct police. Moseley’s weapon of choice was her own legally owned and registered 9mm Glock pistol. When she began shooting as she showed up at her temporary job that morning, she killed three people and injured several others with this gun. While gun manufacturers are normally tarred and feathered in the media after one of their guns are used in such shootings, this did not happen. Typically, after every mass shooting, gun control advocates, politicians, and mainstream media alike, attempt to push for harsh gun control measures “that would’ve prevented such a tragedy.” But this is already the case in Maryland. Completed a certified firearms safety training course. The training course has to be conducted either by the Police Training Commission, or meet the standards set by the PTC. But that is just to get to the store to buy one. Once you get to the store, you’ll have to fill out background check paperwork, wait seven days and then, maybe, you’ll be approved to buy one of the guns Maryland has approved on a very short list for its citizens to own. Then, if you want to carry the gun anywhere except from the store to your home, you’ll need a permit for that too. When trying to understand what a person must be thinking in order to walk up to innocent people and begin murdering them, it is extremely difficult as most people cannot fathom such things. However, certain psychotropic medications have known side-effects which cause these very thoughts to materialize. During a press conference after the shooting, police said Moseley had been diagnosed with a mental illness in 2016. While no details have been released as to what she was diagnosed with, most mass shooters have been linked to some form of psychotropic medication. If people were to begin questioning these medications, especially seeing that it could be linked to an African American transgender woman, completely outside of the stereotypical mass shooter, it would be extremely damaging to the pharmaceutical industry. As TFTP has previously reported, this industry wields an insidious influence over the mainstream media. Typically after mass shootings, police often come into the spotlight for their bravery — or, in the Parkland shooting case, lack thereof — for stopping the shooting. However, the media had no such story to report this time around as Moseley took herself out after murdering innocent people. In fact, on the day of the shooting, it was widely reported that police didn’t have to fire a single round. 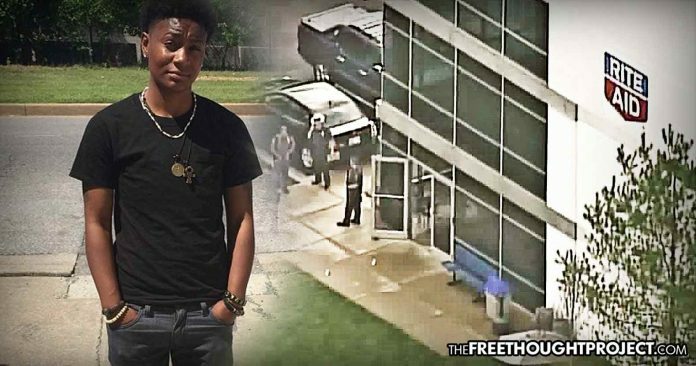 While there is no way to defend Snochia Moseley’s actions, there are a number of glaring reasons why the shooting she carried out has been blacklisted by the mainstream media, as it does not fit the typical narrative and can hardly be used to rally against one race or religion, or to call for increased gun control.